The whole world consists of supply and demand. And while some of us are actively buying, and others are just as enthusiastically selling, you can earn as an intermediary by providing a convenient system - the international online marketplace platform. These platforms have become incredibly popular today: according to statistics, users prefer them to online stores, that is, to profile sites of niche players. But it's not enough to build a good wholesale marketplace. You need to create a product whose name will be a household word and which will join the ranks of the real leaders: Uber, Airbnb, eBay, and others. Don't know what to start with? We are happy to help you to figure out all the details of this complicated issue. Our Agile team has successful experience of developing different peer-to-peer marketplaces, so now we're ready to share our expertise with you. You'll find only working and effective tips that we've tested in practice. An online marketplace is a great way of connecting buyers and sellers online - of course, if it is properly designed. But before disclosing the main secrets of developing these unique web systems, let's try to structure them. The first item on the list is quite clear, the last one will be considered in due course time, but we have to discuss the classification by type of participants in some detail right now. B2B, P2P, B2C… is there any difference? C2C marketplaces mean that all participants are private individuals, not business entrepreneurs. Therefore, this model is also known as "peer-to-peer". 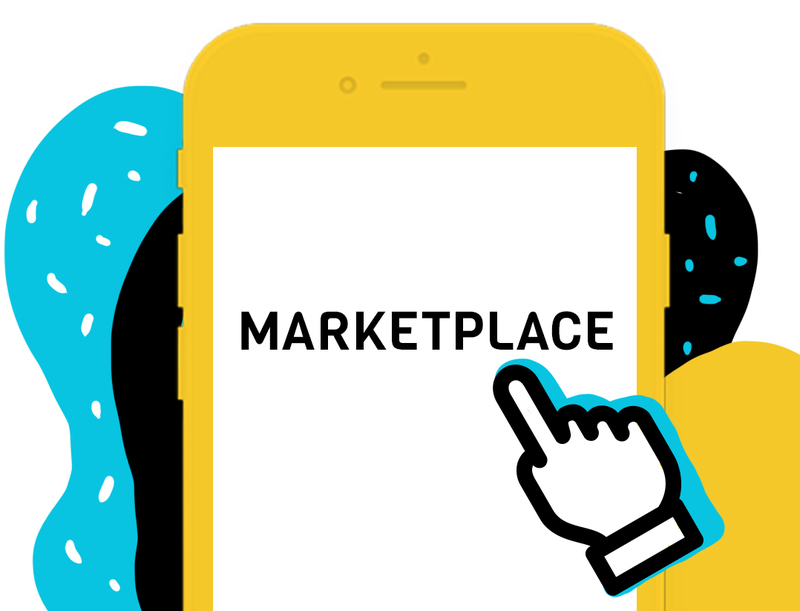 You'll find more details about peer-to-peer marketplace platforms in one of our articles. Peer-to-peer marketplace examples: Etsy (handmade items), Preply (search for tutors), Uber (no comments!). In the case of the B2C model, the interaction occurs between business and customers. By the by, a B2C site can start its journey as a C2C resource. The Etsy platform, which was a peer-to-peer marketplace website before, now offers products from both private individuals and manufacturing companies. The Internet site (a C2C model) has a vast number of users, and the business interests see that the market has formed their potential clients. Individuals (ordinary users) start to receive a decent profit from transactions and decide to turn their "hobby" into a business. Examples of B2C marketplaces: BedandBreakfast and Booking.com (search for accommodation in hotels and hostels), AliExpress (offers of manufacturing companies, from clothing to cars). Online b2b marketplaces mean that businesses deal with each other on mutually beneficial terms. For example, manufacturers of building materials sell their products to construction companies. horizontal (services or goods from different industries). Instances of wholesale b2b marketplaces: Alibaba (wholesale purchases for entrepreneurs), BookingB2B (hotel owners cooperate with tour operators). All the listed wholesale marketplaces are slightly different, but there are common bases that will help any of them to be effective. Do not be afraid of the original peer-to-peer marketplace ideas, sometimes they are the key to your success and prosperity. Of course, one should not forget about the demand for a product or service, but an unconventional approach does not imply a lack of relevance… alas, a lot of entrepreneurs don't like to take risks, that’s all. But a well-thought-out risk justifies itself and brings great dividends. Uber. Today this resource is widely known, but it wasn't always like that. Agree, the idea of creating a meeting place for taxi drivers and passengers is quite unusual and fresh (in any case, it was fresh in those days). Of course, now everyone is copying it, hoping to repeat the success of Uber (that has set the trend, as we’ve already mentioned). Bookis. Some time ago we were working on a project of a very interesting platform that gives users (mainly Norwegians) the chance to sell and buy new or second-hand books. Among Norwegians, there are many fans of paper books, and that’s why this idea has paid off completely. Warby Parker. The American manufacturer of vintage glasses Warby Parker has recently presented the original marketplace application which serves as a mediator between the doctor and the patient. It allows the user to take a visual acuity test and sends the result to the doctor. The latter checks it and, if necessary, gives new medical instructions. Skillshare is a training peer-to-peer marketplace platform offering different video series, from creativity and culinary to economics and finance. Anyone can make a video lesson for Skillshare, though the quality is not always very high. Thumbtack is a website that helps people to find local specialists of various profiles, including plumbers, electricians, teachers, etc. This is another original way of connecting buyers and sellers online, agree! Of course, it's very easy to create an online b2b marketplace of a standard type. However, in this case, you can easily be lost among others. Moreover, the monsters of the market will surely outperform you. So look for really interesting peer-to-peer marketplace ideas. Solve the real problem. Despite all the originality and uniqueness, b2b marketplace sites (as well as c2c, b2c, and others) should be able to solve one of the users' problems, otherwise, nothing will come out of it. Look wider. Ask yourself: "What else do people need besides what is offered by the modern market? What services, goods will be useful?". After all, you don’t need to provide this product (or service), your job is simply to create a peer-to-peer marketplace platform where the seller will find his buyer. Show modesty. Peer-to-peer marketplace startups don't have to be as grandiose in scale as an Amazon b2b resource, for instance. Start small, analyze the market: maybe, driving schools would be happy to look for new students through your site (and vice versa)? Or create an online meeting place for those who want to find a guitar teacher and who can teach (if your research has shown that this service is in high demand right now). Then go for it! Think about the geographical factor. Do you remember what we said about Bookis app? The idea has worked because Norwegians still prefer paper books to electronic ones. So think about a specific local market. Agree, a b2b marketplace in the UK and a b2b marketplace in the USA are not the same things because the British and Americans have different thoughts and needs. The idea which seems perfect for one country can fail in another. Use a new approach. And, finally, if you could not come up with anything quite original, do not despair: some peer-to-peer marketplace startups succeed because they’ve offered the old idea in a new way. For example, through Airbnb didn't create a unique service, it made it at a higher level (among other things, Airbnb verifies the owners of housing much better than its competitors do). That’s way Airbnb managed to take a place among the leaders. Watch for competitive activity. Yes, it is not enough to explore the market at the start of the project. It is important to stay in touch with your competitors and monitor their activities. Do not let them outbid yourself! Well, let's say, the idea for your project has been found... now the question is: how are you planning to get your profit? Commission from the conducted transactions. This business model is rather popular. For users, its main advantage is that they don't pay the marketplace until getting real profits. Examples of such marketplaces: eBay, Fiverr, Airbnb, TaskRabbit, Uber, Etsy. Subscription. A user (a buyer of the product or a customer of the service) must subscribe to get unlimited access to the site content. Subscription-based peer-to-peer marketplace platforms: the Skillshare training site we've already mentioned (it requires $ 12 per month for access to all lessons), as well as dating web resources (OkCupid, for instance). In the b2c segment, this model is often used on the recruitment sites (StackOverflow Careers takes money from companies so that they could access to the candidate database). Fee for placement. This model is similar to the paid advertising - the marketplace provides the seller with an audience and guarantees the coverage of users. The Headhunter website is working on this basis. Commission for the lead. Customers place their requests on the site, and sellers respond to them - of course, they should pay a commission percentage for this service. Example: YouDo, GetBlogger. Premium models. The basic functionality of the c2c, b2c, b2b marketplaces is free, and users pay for the premium features. There is a great example of the Danish Peerby project which gives people a chance to exchange unnecessary things for free. The advanced paid functionality of Peerby includes the opportunity to ask for an advance payment (as an insurance) and order a convenient delivery system. Promotion of advertisements. All advertising is usually free, and sellers pay only to make their ads more visible. This model is used at Etsy.com. The original approach. There are also original ways to monetize international online marketplaces. 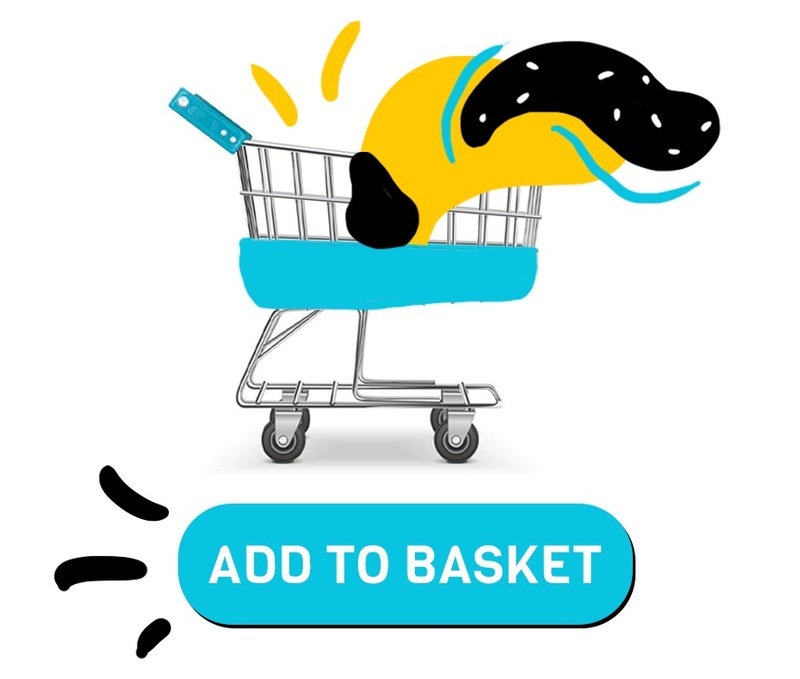 We should mention Allyouneed.com in this respect, the famous marketplace connecting buyers and sellers online (all kind of goods are presented). It has been created by the logistics operator DHL. And the additional DHL’s benefit is the chance to deliver all the goods by exploiting the facilities of the logistics business of the company. Marketplaces often use several business models. The same Etsy resource takes a commission and, in some cases, charges a fee for advertising. This approach seems rather reasonable. True, there is still a question of the optimal commission size... what can one advise on this matter? Services or goods? There's a difference. Service marketplaces usually take a commission of about 20% (Uber, Lyft, Fiverr, Postmates). On the other hand, the commission of product marketplaces is much lower: eBay and Amazon b2b platforms charge 10%, and Etsy asks for 3.5%. Examine the competitors. What commission size have your direct competitors set for their services? Analyze the costs of maintaining the performance of the marketplace. On the basis of the above data, set the minimum possible commission percentage (the lower it is, the greater the chance of attracting new users). In a highly competitive environment, you, as the owner of the wholesale b2b marketplace (or c2c, b2с, it does not matter), should clearly state its benefits to sellers and buyers. But the main thing, potential users should know that a transaction process is securely protected. How can you get users to trust you? Make your peer-to-peer marketplace platform as convenient and useful to both sellers and buyers as possible. Having multiple payment methods is an important factor in increasing the confidence in the online b2b marketplace, for any client prefers to have a choice. Therefore, it is desirable to add different payment methods and take care of placing the online payment security certificate, as well as information about the confidentiality of the customer data. However, we will discuss the issue of the payment system later. Create a security guide for users, tell them how to avoid potential dangers (because fraudsters can be met everywhere). The ideal option is to provide such a guide with audio and video tips. Implement the chat-bot feature responsible for communicating with users in online mode (24/7). In addition, you can offer a list of the most popular questions (and accompany it with answers, of course). Connecting buyers and sellers online, be sure to check your users as much as possible. If the seller or buyer seems unreliable to you, ban him (her). Require the user verification - for example, through email and phone number validation. By the way, eBay takes advantage of the last option to verify the identity of the user. And, of course, you can always verify users with the help of social networks. This is an obvious step, but still a necessary one. Make the rules for using your wholesale b2b marketplace and think of possible consequences for breaking them. Naturally, such rules would be useful for c2c, b2c marketplaces too. Provide an opportunity to complain about the user and add him to the blacklist. In addition, you can create a ranking system composed by the users themselves: this step will allow people to understand whom they can trust and to what extent. Good site navigation directly affects the time a user should spend on searching for goods and making a purchase and, therefore, influences the user experience. And, of course, the better your wholesale marketplace is designed, the easier it will be for you to get the sellers. Even such a simple thing as rearranging the elements of basic navigation can affect sales. When M&J Trimming, the retailer of clothing products, improved the web navigation system, it had gained a 19% increase in sales. The header is very important. In total, visitors pay 23% of the attention to the top of b2b marketplaces. Typically, the header section includes basic navigation, a search engine, a basket button, and additional information (support contacts, the nearest store locator, most popular products, etc). Simple and clear! All elements of the menu or UI should be clearly visible and intuitive for any user. Ideally, the user should make about 3 clicks to get to the page he needs. Key elements everywhere. The most significant navigation elements should be present on each of the pages of the international online marketplace so that the user could easily navigate between the site sections. Graphic design. Elements of navigation must contrast with the background color and differ from the main text. At the same time, it must harmonize with the design of the resource. It is difficult to guess in advance how users will react to a particular product, including when it comes to b2b marketplace sites. And if you do not have a large budget, then there's no room for the mistake. So what should you do? The advice to conduct a preliminary analysis of competitors and audience needs is good, but such a desk research alone is not enough to be 100% sure of the success of peer-to-peer marketplace startups. The best option is to use the obtained data to create an MVP model - a minimum viable product that allows figuring out what your users are willing to get (and to pay for). Having users feedback, you can improve your service in the way people expect. An MVP model for the international online marketplaces doesn't mean a product that has been made in a hurry. Short-term development is due to the fact that the service contains only the key features. It makes sense, for studies show that almost 60% of the functionality remains unused. check whether potential users will need your product. learn the best way of further improvements. get early adopters of your service. By the way, Airbnb, this famous peer-to-peer marketplace platform, began its journey with the creation of the MVP when Joseph "Joe" Gebbia and Brian Joseph Chesky decided to rent their apartment in San Francisco to participants in the conference. They photographed the housing, made a simple advertising site, and soon could accept the first guests. Thus, these guys managed to see that the idea of renting their own housing for a short time was worth considering. Foursquare also used this system. Its MVP contained check-ins and awards for them. Later, the MVP developers began to expand Foursquare capabilities by adding recommendations, as well as city guides (and they did it because they’ve analyzed the user's feedback). When dealing with c2c, b2c, b2b marketplace sites, you should choose the right payment gateway interaction system. We have already covered this issue in one of our articles, and now we'll repeat the main points. Of course, you can carry out the payment process directly on your site by asking users to enter their card details. However, this method is extremely difficult because you will have to guarantee the security of personal (and highly confidential) customer information. It is much easier to transfer a user to the intermediary's service that knows all the methods of accepting online payments and ensuring the security. And don’t forget about the geography of peer-to-peer marketplace startups. For example, the RAZORPAY platform is very popular in certain circles and offers the best onboarding and convenient payment acceptance technology. But it is oriented to the Indian businesses and does not suit Americans and Europeans. We give examples of more widespread payment gateways. Stripe is one of the most popular payment systems on the Internet. For today, Stripe carries out payments in 138 currencies, on 17 thousand trading platforms, in more than 20 countries. Moreover, the project continues to evolve by expanding the service geography and increasing the number of currencies supported. The Stripe system has a high speed of payment processing and a reliable security system. In addition, it offers a very convenient technology for integration with sites. But most importantly, the company has released a new sub-service named Stripe Connect and designed specifically for international online marketplaces. PayPal remains one of the most successful payment e-systems in the US and European markets. The company offers excellent API and SDK, simplifying the work of developers. Business owners have the opportunity to track sales made with PayPal (via the PayPal Here program). Today PayPal operates in most countries of the world and works with 20 major world currencies. Another advantage of using PayPal is that the user only needs to enter his card details once, the information is being stored in his profile. This is convenient for making purchases in c2c, b2c, b2b marketplaces. PayPal provides customers with additional guarantees. If the purchased goods have not been not delivered (or they don't correspond to the description), it is possible to apply to the system for a refund of the amount paid. Braintree is a big player in the mobile payment market. PayPal bought it for $ 800 million in September 2013. Braintree offers the simplest API which can be accessed through PHP, Python, and Node.js. And wholesale marketplaces can use the Braintree Marketplace system. Airbnb takes advantage of Braintree to accept in-app payments. This is another simple and convenient system for making payments that collects credit card and e-check payments online. It offers flexible and convenient payment options, time-saving billing, real-time notifications, and other useful features. We've discussed, and in detail, the issue of creating peer-to-peer marketplace startups in our article. Let's repeat the most important points. Building from scratch. In this case, the development is being conducted without the use of ready-made templates. This approach, of course, complicates the process but it allows you to achieve the best results and create a unique wholesale marketplace that is best for your needs. Ready-made platforms. If you want to save time and money, use one of the Ready-made open source platforms, for instance, Sharetribe, Cocorico, Mayocat. Software as a Service. The SaaS solution is the easiest way to achieve your goal. Saas marketplace platforms are easy to create, but, alas, they're the least unique. The functionality of your SaaS marketplace site will depend entirely on the selected SaaS option. Again, if you want to know more details about SaaS marketplace platforms, open-source templates, and development from scratch, read our article we've mentioned. Even if you decided to start small and run the MVP model, as we advised, consider the possibility of future scaling of the project in advance: so that the functionality can be expanded and the design improved. Do not launch your online b2b marketplace until you have taken care of every little detail. The development of the project will logically lead to an increase in the number of users and, accordingly, the amount of information processed. And your server should be able to cope with such loads. Moreover, you have to think about this beforehand. One way to solve this problem is to use a CDN system. We’ve discussed this topic in our articles. Virtual shared hosting means that thousands of sites are stored on one server. Virtual Private Server, (VPS / VDS): there is about a dozen (and more) virtual machines on one physical computer, and each one has its own operating system and computing powers. each user who has basic administrative skills can independently configure VDS. imperfect security (although higher than that of shared hosting). Dedicated server. Of course, this is an excellent option for wholesale b2b marketplaces. In this case, you get your own server located in the data center of the hosting company. server configuration requires the qualification of a system administrator. In general, think about what you need: either to implement your peer-to-peer marketplace ideas as quickly as possible or to create an excellent product using the long-range approach. What do you need to know when creating a website for connecting buyers and sellers online? It is more logical to build a marketplace for a niche, in which there are no similar services. Try to be original, more or less. It is worth starting with choosing a reliable contractor who will develop the site, and who will become a full partner of yours - one able to go through all the stages from business consulting to the launch of the project. The c2c, b2c, b2b marketplaces must be reliable and scalable at the same time. We are ready to help you in resolving item #3 and become your developer company. In our portfolio, there are interesting peer-to-peer marketplace examples, so we know all the nuances of this market. Ask for advice, and our experts will be happy to share their experience. According to statistics, the e-commerce market has been growing by 17-18% annually. However, traditional online stores are gradually giving way to peer-to-peer marketplace platforms that are gaining incredible popularity. As PwC predicts, this so-called "
CDN in Web and App Development: How Can You Use CDN in E-commerce? In this article, we will tell you how to use CDN for business purposes and what this technology means and includes. The topic is complex and fascinating at the same time, and we hope our tips will help you figure it out.